There’s absolutely no doubt that Dennis Skinner has made a tremendous contribution to the British political establishment since he first joined the British Parliament nearly five decades ago, in 1977. The MP for Bolsover – often described as a prominent representative of the “hard-left”- is a fiery and vocal champion of social causes conveniently neglected by his peers to the right. He’s also a very controversial figure adored by most of his constituents but also despised by some within his very own Labour Party as well as everywhere else in the political spectrum. 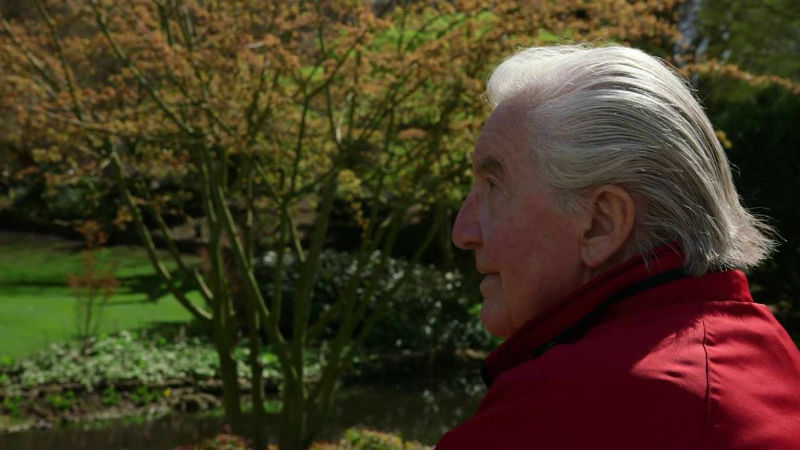 Daniel Draper’s doc takes a very romantic and personal look at Dennis Skinner the politician as well as Dennis Skinner the human being. The film starts off with Dennis himself talking about his childhood in Derbyshire. His image is accompanied by magnolia flowers and daffodils blooming, and supported by piano keys and other strings. The symbolism of the daffodil couldn’t be more accurate: the flower is a variety of the narcissus, while Dennis Skinner has a vast cult following. Both represent admiration in one single individual. Not that Dennis is a shallow and narcissistic boaster. On the contrary, he’s a very down to earth man of the people, with a genuine concern for the well-being of his fellow Brits. He believes in solidarity as a reflection of the working-class roots. In many ways, he’s the essence of socialism minus the champagne paradox. He takes enormous pride in representing not just his constituents but also many marginalised groups. The doc investigates his exhaustive campaigning for miners, Alzheimer’s patients and stem-cell research, amongst other causes. Dennis’s relationship to Richmond Park of London is also a central topic, where the politician seems happy and at ease. But the Park trees are not the only verdant element in the movie. Dennis is also very much at home in the green seats of the House of Commons, where he has eloquently delivered a number of explosive speeches throughout the decades. Despite his outspoken republican and ardent anti-war stance, Dennis remains a respected figurehead in Parliament. He’s also elegant and witty. He’s the perfect combination of avuncular and formidable. The film claims that Dennis has “a contempt for tradition and authority” and that his demeanour has made him “feared on both sides Parliament”. The problem is that the filmmaker opted never to delve into more detail and to reveal who these people are, let alone have them talk. None of his critics are ever interviewed, and we are left with an entirely one-sided representation of a very divisive figure. This is a missed opportunity to investigate a very complex politician in all of his grandiosity, but also in his contradictions. This is a timid and conventional film about a very subversive man. Filmmaker Daniel Draper is never vociferous and inflammatory like his subject. The film also strangely opted not to touch on Dennis’s views on Brexit: he is a Eurosceptic, and his position has put him at odds with the majority of people within his own Party. Whether you agree with him or not, you must recognise that this not a minor topic to be ignored. Plus, his relationship to the equally controversial Labour leader Jeremy Corbyn is hardly discussed. Two very large gaps in the documentary. 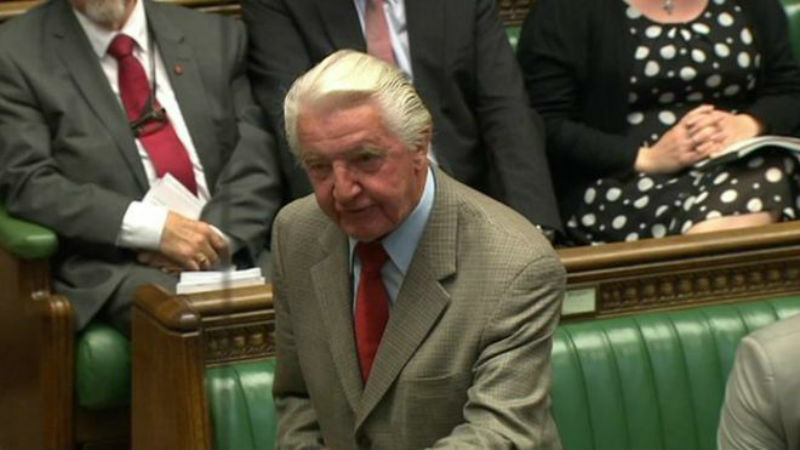 Dennis Skinner: Nature of the Beast was out in selected UK cinemas on Friday, September 8th. It’s out on DVD on December 19th, just in time for Christmas.